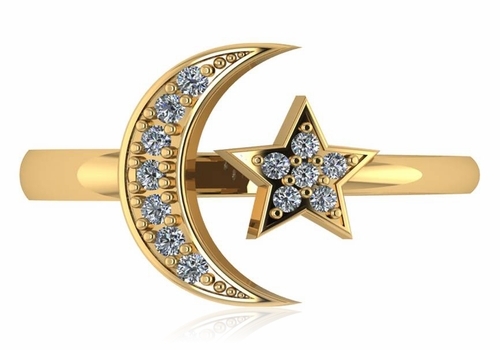 Our Cosmos Crescent Moon and Star Pave Set Ring is a whimsically styled ring that features a crescent moon and a star stunningly appointed with diamond look pave set round cubic zirconia stones. 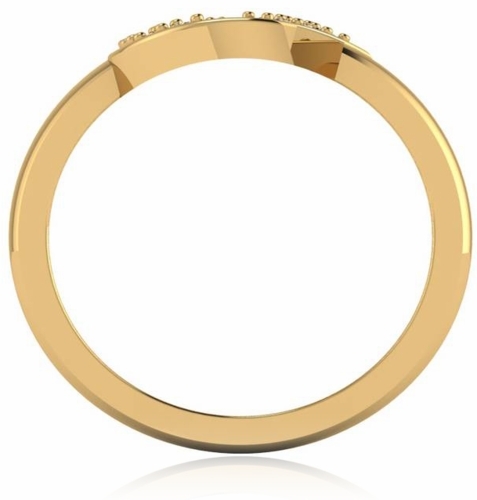 This ethereal ring measures approximately 13mm in width from the top of the moon to the bottom of the moon and the shank measures just over 2mm in width at the bottom. 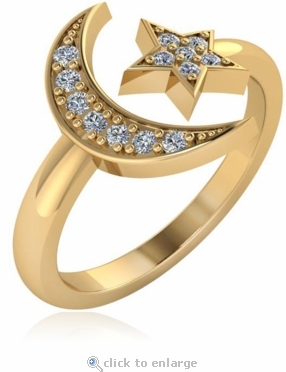 This ring is a great gift for that special someone who appreciates something different and loves the cosmic world. 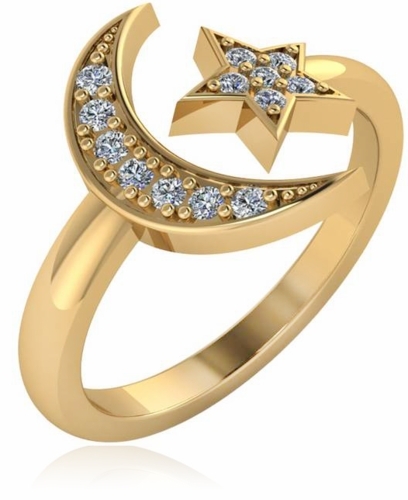 The diamond quality Russian formula cubic zirconia that are pave set into this ring are all hand cut and hand polished to exact diamond specifications and is available in your choice of 14k yellow gold, 14k white gold, 18k yellow gold, 18k white gold or luxurious platinum. Whole and half finger sizes 5 through 8 are listed in the pull down menu and additional finger sizes are available, please call us directly for details. For further assistance, please contact us directly at 1-866-942-6663 or visit us via live chat and speak with a knowledgeable representative.